Remind us a bit about you and what you do/ make…. 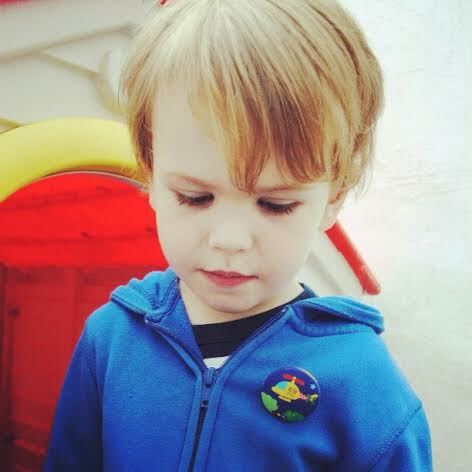 I’m a mum of three, with a love of miniature. 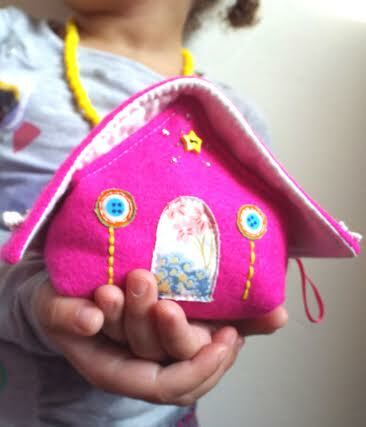 I design and create special little fabric houses with beautiful details just perfect for fairies! 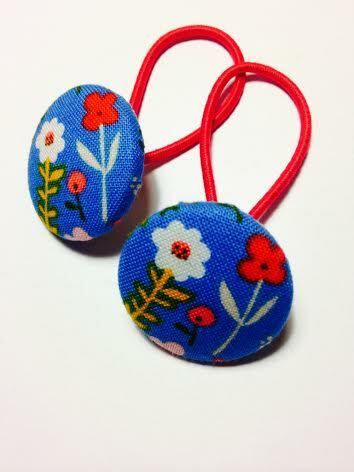 I get excited about fabrics and vintage buttons and love using them to produce unusual Jelly Roos products. How long have you been making your craft items? I’ve been running Jelly Roos for about 1yr and a half, but have been working on my unique line of ‘shelf houses’ over about 7 months. Do you have a best seller? If so what is it? 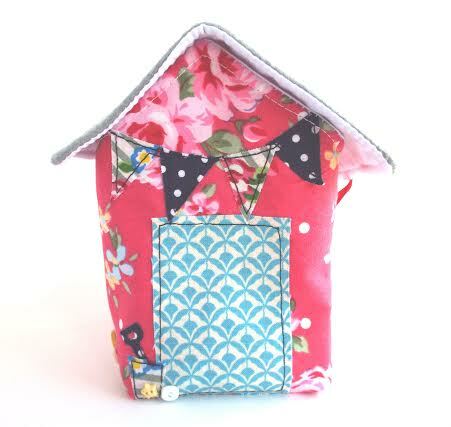 My unique design of beach hut, created from beautiful fabrics and with hand stitched details which opens to reveal a storage space. What do you enjoy most about your craft? Seeing and hearing the public’s response to them. 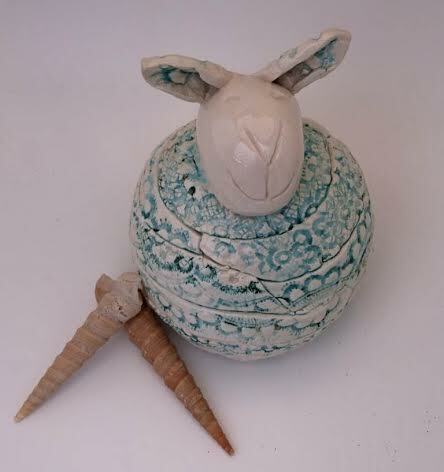 Will you have some special Spring time Easter creations for sale? 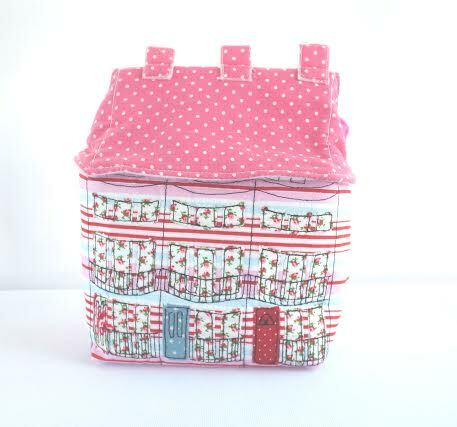 My ‘shelf houses’ are great for giving Easter gifts in! 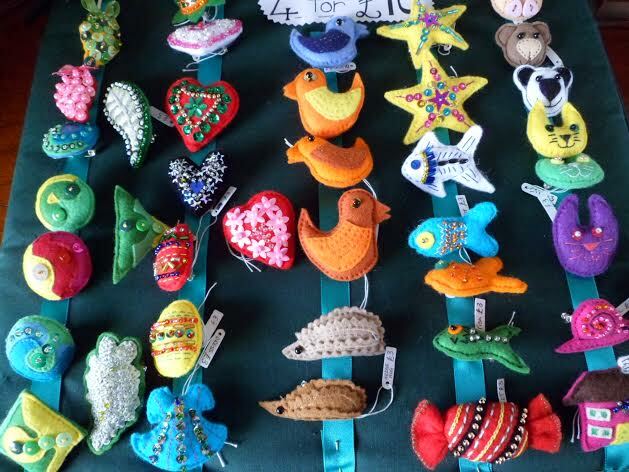 Do you take part in other craft events (fairs, open houses, markets etc…)? I am focusing on online sales and wholesale but am looking at booking more markets for later on in the year. What are your plans/ ambitions for the future? Or have you already achieved them? To promote my work to a wider audience. You have previously taken part in The Fairy Tale Fair. Did you enjoy the day? An amazing atmosphere, great mix of stall holders and fabulous visitors…you can’t beat it for a wonderful day out. I can’t wait to see fellow stall holders new items and have a good browse! Craftivism at Super + Super Saturday 29th March! 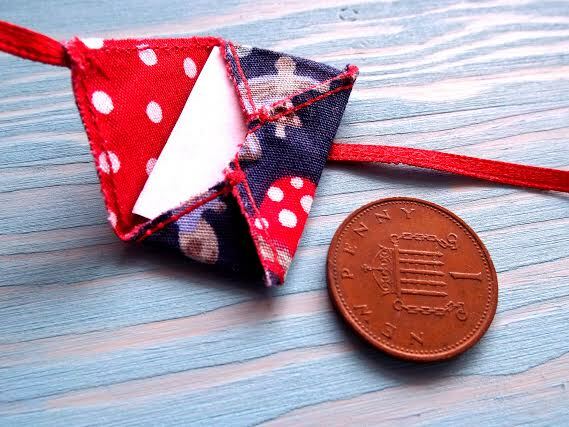 This month Etsy would like us to take part in a bit of Craftivism. As a group we wanted to come up with an interesting way to use our crafty endeavours to raise some money for a worthwhile local charity. So we are very excited to announce our plans! Thanks to the lovely ladies at Super Super ( Brighton’s most friendliest creative hub) supersuperhq.com/ we will be taking over their shopfront and giving the folks of Brighton some LIVE craft action! 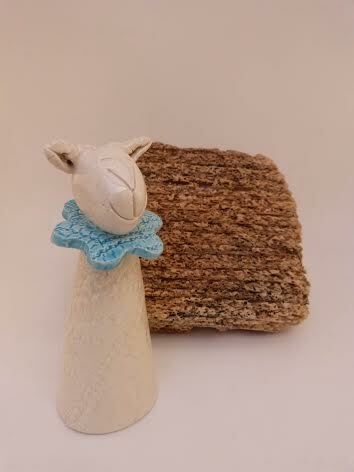 Hello, i’m Lisa from Lubilou Ceramics and I make sheep, chickens, harebbits, brooches and home decorations. Ive been making for a few years now. It changes all of the time and just when I think i’ve made enough of one thing it’ll be something else that takes over in the popularity stakes. Being free to do what I want to do and having fun. 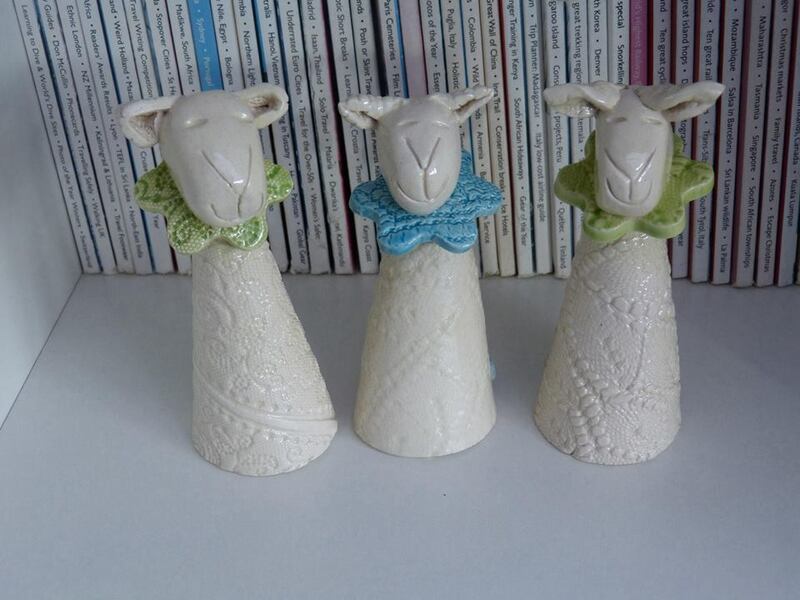 I hope to get around to making some Easter decorations, small sheep that maybe I can call lambs and maybe small chickens that I can call chicks? 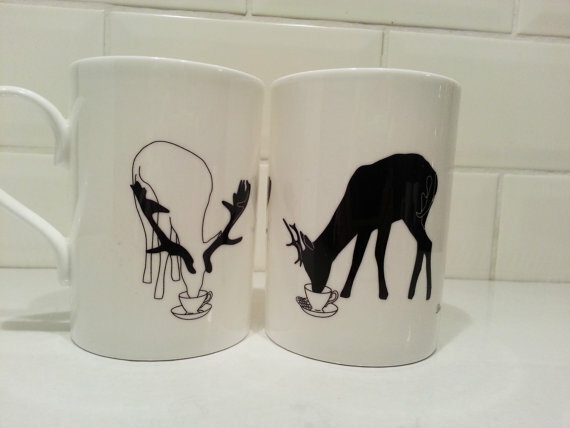 Gosh, I haven’t achieved the plans that I made last time which was to make enough to have a fully stocked online outlet. There’s so much more that I’d like to do with Lubilou but i’m always running out of time, minutes are like seconds and hours are like minutes. I’d like to find a way of slowing down time and making days last longer. I have taken part twice and loved it. It really is all that they say it is…..magical. It is wonderful to take part in such a successful fair which is down to the fabulous organiser and the support of the local community. Tell us/ remind us a bit about you and what you do/ make…. We are a small business based in West Sussex. 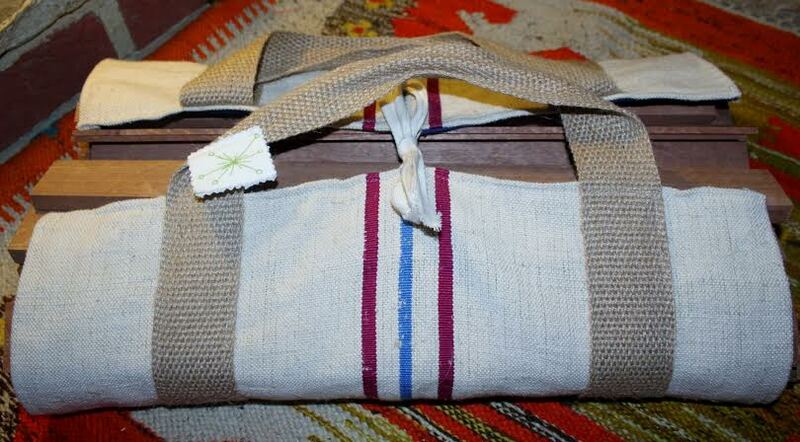 We make textile accessories for the home and to wear. 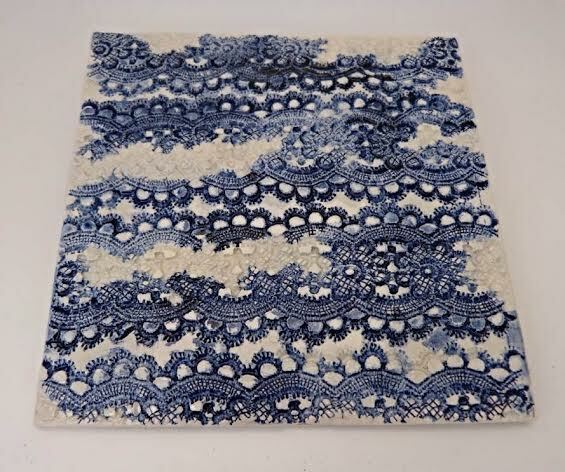 We have a very distinctive style; all our accessories are of interesting texture, colour and style. We are contemporary and use a mix of vintage and contemporary fabrics, ribbons and embellishments to make our accessories distinctive and eye catching. Stitch & Loop have been up and running for 18 months. We have three best sellers!! Our vibrant textile neck wraps; a cross between a multi stranded scarf and a textile necklace secured with a contemporary textile brooch, our hand knitted mohair and silk frilly embellished neck wraps which are very light in texture and made in zesty spring colours, and finally our hand knitted and hand felted bracelets and cuffs which are embellished in true Loopy style. What do you enjoy most about your crafts? Sitting together with a cup of coffee researching new ideas, discovering new fabrics and getting excited about evolving a new product. We love playing with colour and texture. All our products will be geared up for Spring. Bright zingy colours and lightweight items will pave the way for a glorious Loopy summer!! Yes we can be found occasionally at the monthly Makers Boutique in Brighton (next one is Saturday 12 April), and Knepp Castle on .31st May/1st June. 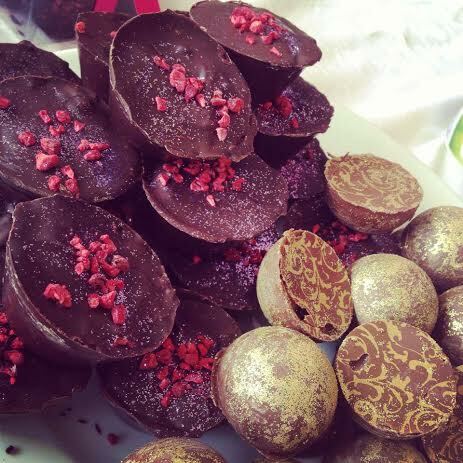 We also stock Rare Rabbit on Tarrant Street in Arundal, Vintage Rose Cafe in Storrington and Strawberry in Chichester. We are almost finished building our website with the help of our creative agency Lime Creative in Borough High Street in London, and the aim is to reach as many like minded people as possible. 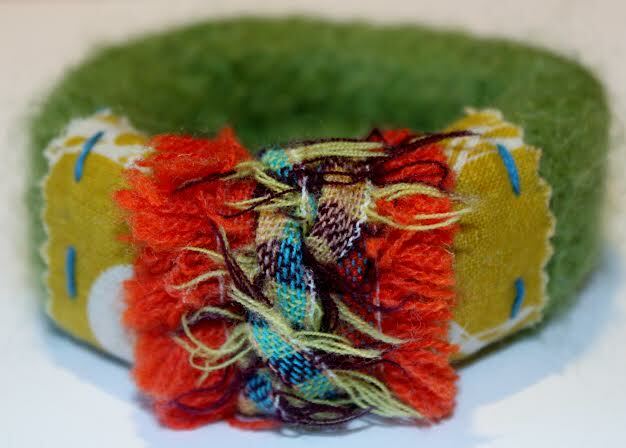 If you love colour, texture and style then you will love Stitch & Loop products. New beginnings, lighter days, daffodils. 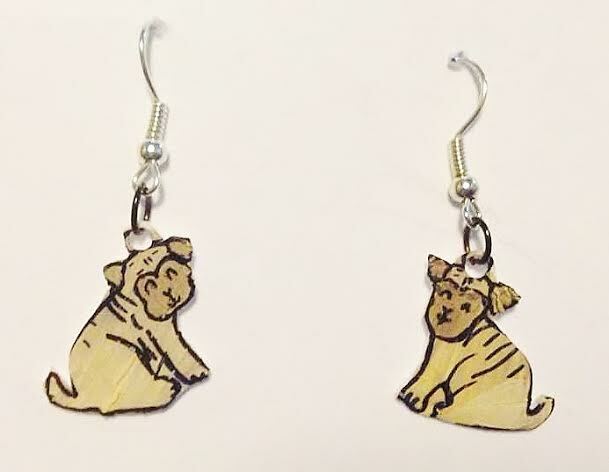 Today we are excited to welcome a newbie to the Fairy Tale Fair, Bex of Bex Illustration, who hand draws wonderful shrink plastic animal themed jewellery, which fit perfectly with our fair! 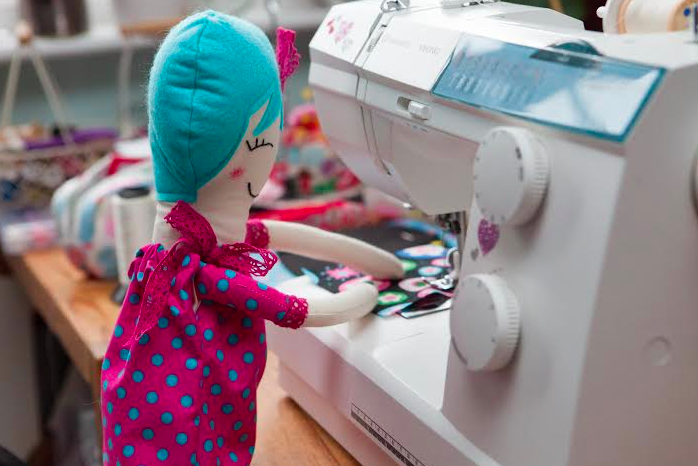 We can’t wait to welcome her at her first craft fair! I graduated from University of Portsmouth in 2012 and found myself stuck. I didn’t want a job, I wanted to be my own boss, but I didn’t know what I wanted to do. Just over a year later, I found my niche and started illustrating animal characters. After holding my first solo exhibition, I learnt how much people liked my characters. The jewellery making began when I shopped for jewellery I dreamt up, which didn’t exist, and decided I would have to make my own! Around 6 months, although I only recently took the plunge and opened my shop on Etsy, just after Christmas. 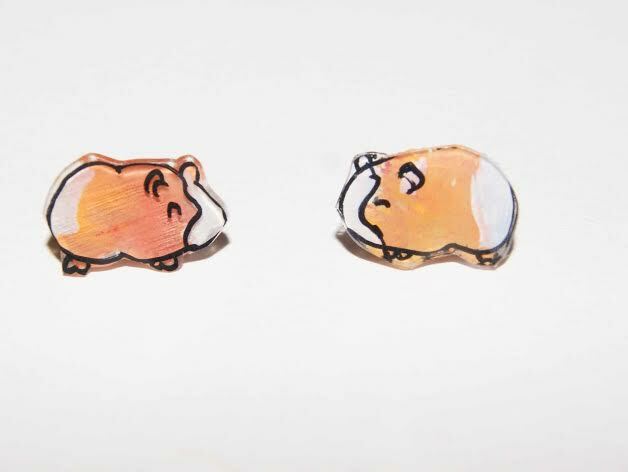 It is a draw at the moment between my guinea pig stud earrings and a cheeky gingerbread man riding a piñata (stripy rainbow horse). 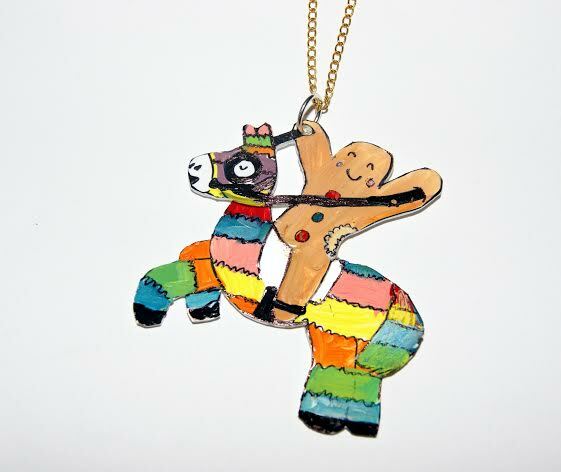 He was created initially as a novelty one off as I love both ginger bread men and piñatas, but the requests kept coming so I made more hehe. Bringing characters to life. I like to create pieces with personality, charisma and charm. 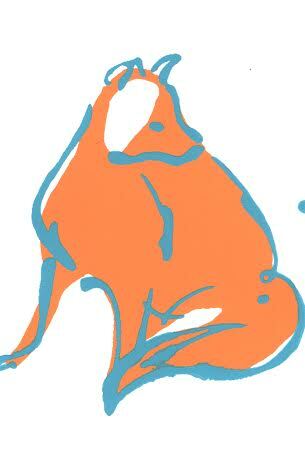 I mainly create animals but give them human qualities. Watching them come to life is great but watching the effect they have on people that see them, wear them and share them is what making jewellery is all about for me. I have characters which are cheeky, shy, proud, angry, happy, mischievous and serious. 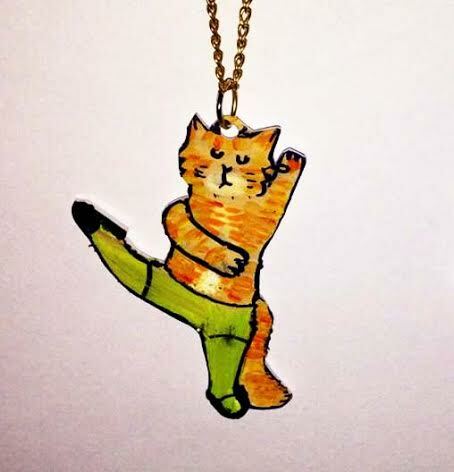 I make jewellery we can all relate to. I will indeed. I have some sporty lambs, some musical chickens and even a special surprise creation! Not yet, this is my very first, please come and say hello. 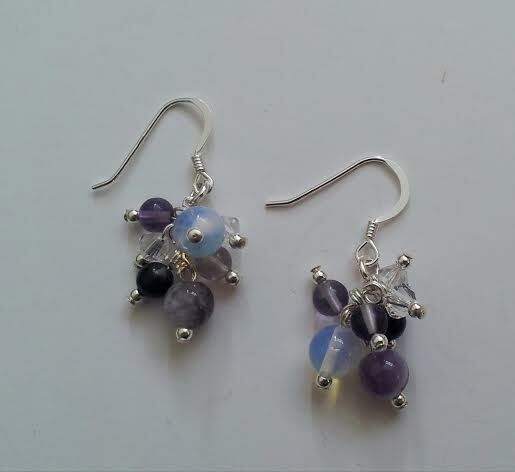 I would love to keep making jewellery, possibly get a few creations into shops and boutiques. I would also love to do more fairs and meet people who love, make and buy jewellery as well as people who love animals and there crazy ways. The first step is to be able to illustrate full time. I am currently working in a pet shop part time, and although I love my little animals, I want to try and live my dreams. Who doesn’t right? Then I can get a house by the seaside and have lots of pets and my own art studio. But now I am dreaming. 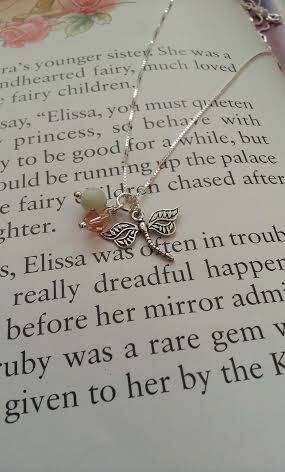 I like to think that when people where my jewellery, It makes them feel a certain way. 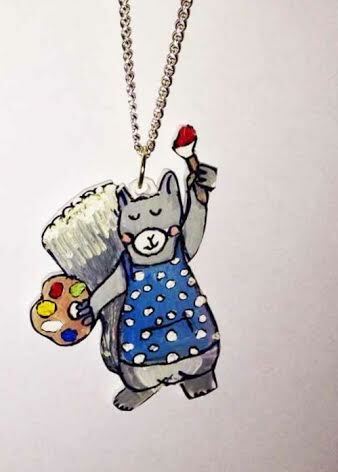 To create an initial talking point on a first date, at school or work or could it be the fact that the cheeky sloth necklace they are wearing represents them in some way. To send a message to the world that says hey… I am me and I am fab. I have designed characters which are cheeky, shy, proud, angry, happy, mischievous and serious. I make jewellery we can all relate to. I taught Textiles at the local secondary school and introduced knitting, patchwork, embroidery, tie/dye and many of the older crafts back into the lessons. After 32 years I took early retirement and now have the time to experiment using the older crafts with a modern touch – its fun! I have always made craft items. I enjoy embroidery and love to embellish with beads and ribbons. My daughter wore homemade clothes as well as hand knitted woollies and of course soft toys. 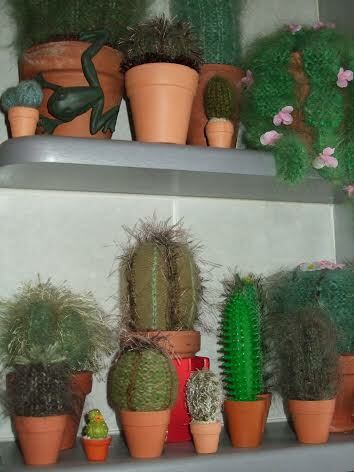 My knitted Cacti continue to be very popular because they look so vicious but are soft, safe and never die. 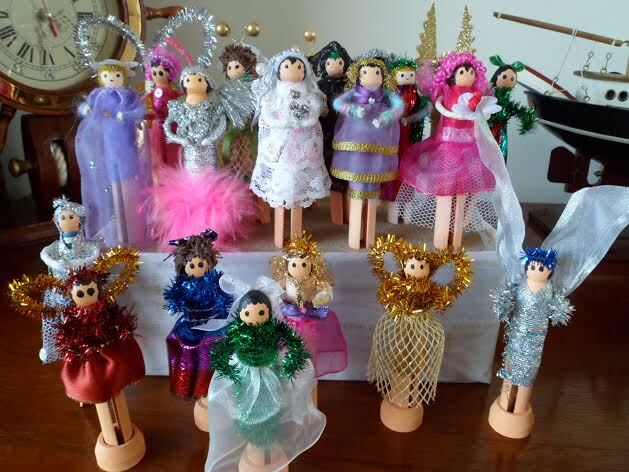 Super Star peg dolls sell well. They are all modeled on Lady Gaga so are very different, full of character and style. Its keeps me out of trouble! 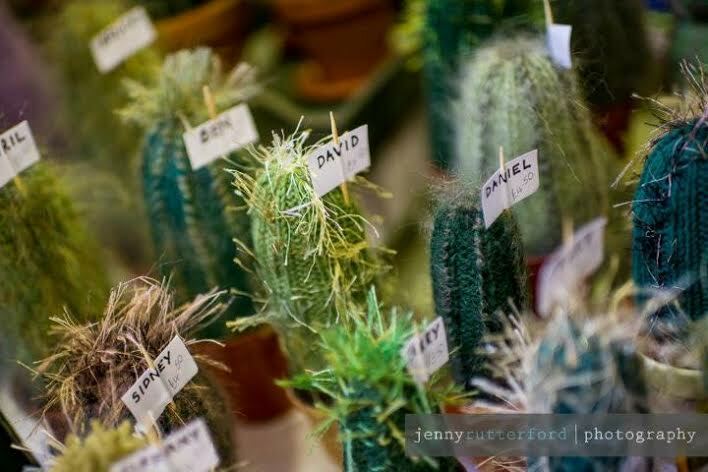 The difference between each Cacti or Peg Doll as it is finished still amazes me and I am always pleased with each individual look. 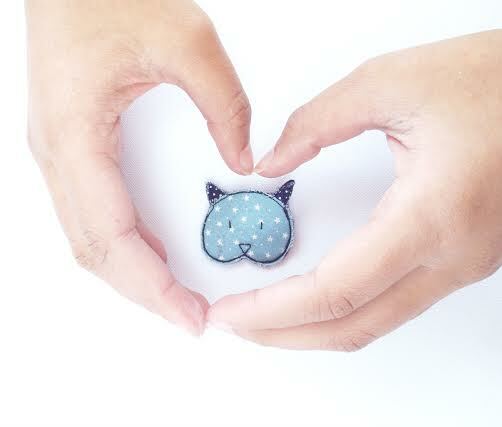 Looking at different craft items and then trying my own version still gives me a kick! Easter Cacti, Peg doll kits for those who cannot or should not have chocolate and some hand painted Easter cards for those who prefer them without bunnies and lambs. I think I have been lucky and achieved my ambitions to teach but I would not say No to losing some weight and being fitter. Fresh start, best foot forward. The Fairy Tale Fairs are so friendly, so well organized it’s always a delight to take part. Looking forward to the day and meeting more craft minded people. Tell us a bit about you and what you do/ make…. 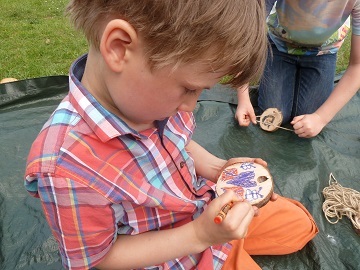 We are all about getting back to nature, creating using natural resources and getting children of all ages involved in nature-based activities, inside and outside. Earth Kids have been organising activities for over a year now, but this our first fair craft stall! Our activity for this event is definitely a proven favourite… Kids just love to crush and crunch chalk to mix and create their own paint. And then to be able to use it to decorate something they can keep is a bonus. 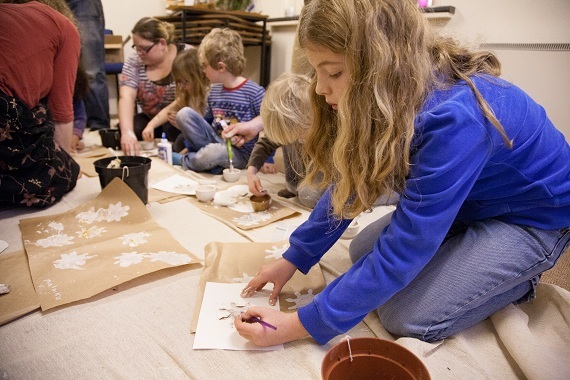 Working with children and helping them understand all the exciting stuff about the natural world around them. Like the chalk that is right under their feet! The children (or adults!) can choose from a selection of wooden Easter animals and shapes which they can decorate however they like, to take home. 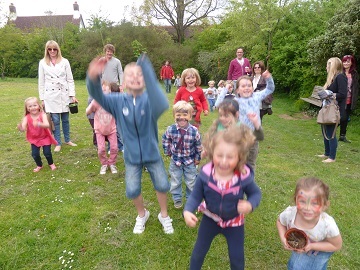 We are planning to have a stall at the Patcham Infants school summer fayre in June this year. Loads of plans to run more craft fair stalls as well as getting our Earth Kids fun Saturday afternoons up and running again. I have enough time on my hands now that both my little ones are now at school. Crisp bright sunshine….. Grape hyacinths! 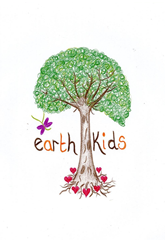 Earth Kids are very excited about running our first craft stall! I sell a range of bespoke Silver Jewellery, where each piece is hand made. 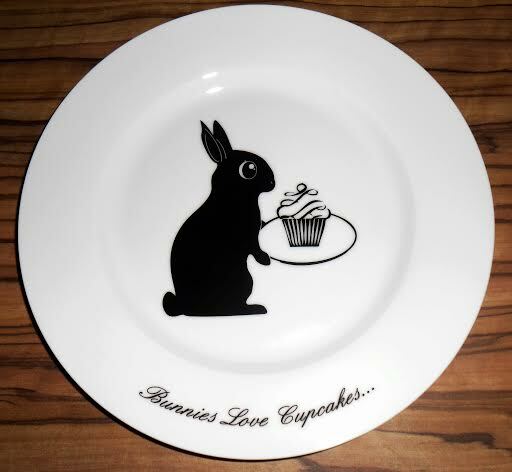 I love to doodle, I apply these doodles/illustrations, with a sprinkle of imagination to a range of usable ceramics and home ware. Lovely Deer was created from just wanting to do something that I loved every day, but that would allow me to expand into different products. I love making things out of any material I can get my hands on! 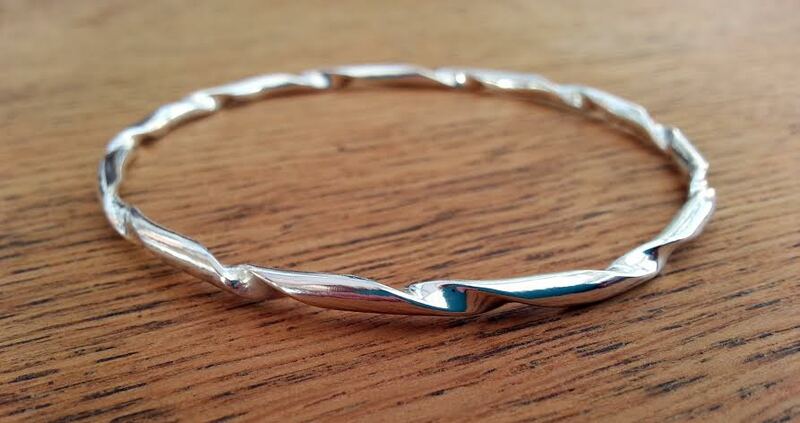 Yes our polished twisted sterling silver handmade bangle. I love the making process and the excitement of creating a product by hand. 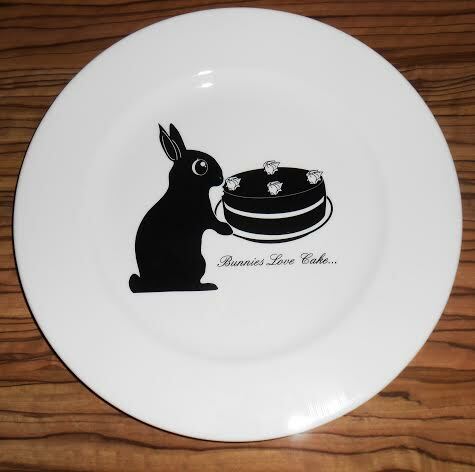 I have some very cute bunny plate products for sale. Yes Apple Ducks craft fair and am looking at attending more fairs and markets in the future. My plans are to make, market, write, love, laugh, and sell. I have lists and sketches of things I am so excited to make when I find the time! Exciting, Chocolate, Bunnies and Fun. 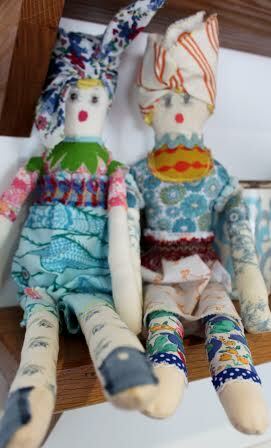 We look forward to welcoming back the lovely Jude of Jessie Jumbles to our fair on April 12th. 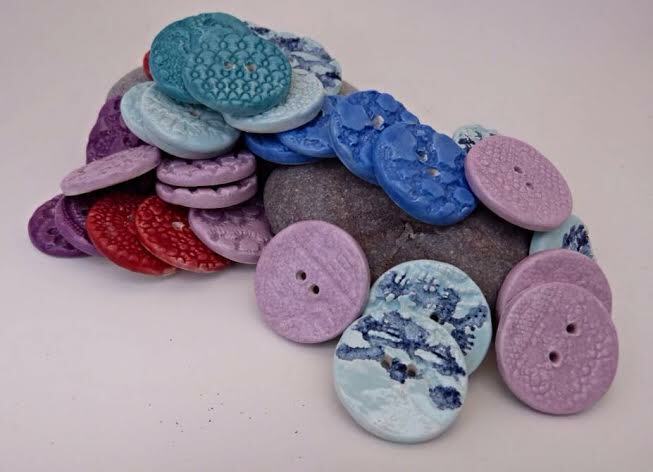 We love her vintage fabric covered buttons, which are full of colour and fun! 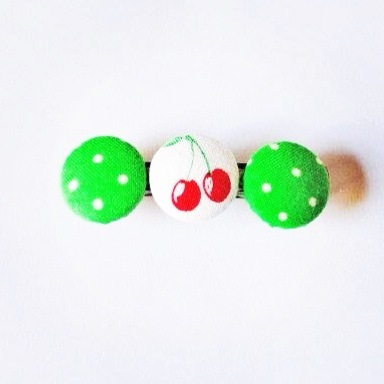 I create covered button accessories with a nostalgic feel. Inspired by Enid Blyton, days gone by, great British seaside holidays,childhood,the nature & cities of our little island. Since summer 2011 although my business became official in January 2012. 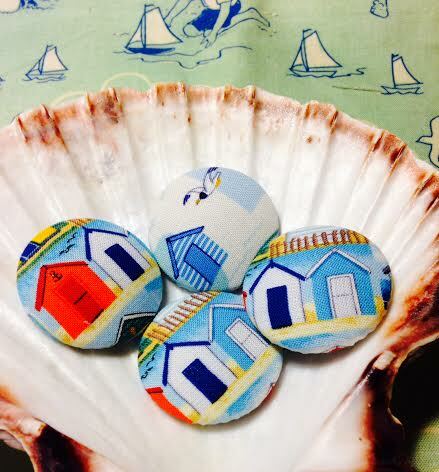 In the summer months (or anytime we have a bit if good weather) my Beach Hut Row brooch. 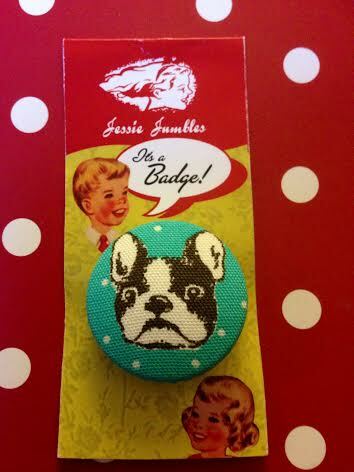 This year my French Bulldog Badge is selling really well. Seeing large patterns or fabrics and picking out tiny sections for buttons. The satisfaction of seeing the original idea work. I constantly think in 39mm dimensions, the size of the buttons I use for badges. 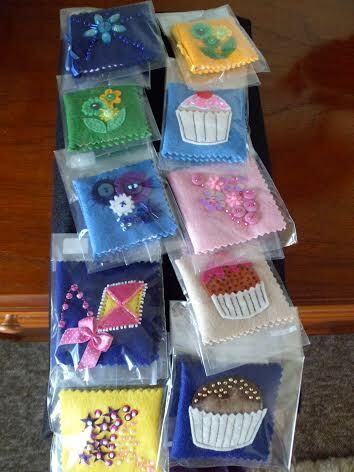 We will have some little bunny rabbit badges and hair bobbles as well as spring florals. Launching teapot brooch with teacup earrings soon. I sell at fairs across Sussex and Surrey but am a regular at Pop Up Vintage in Hassocks. I exhibit in The Cake House,Milton House and this May The Glooblah House. 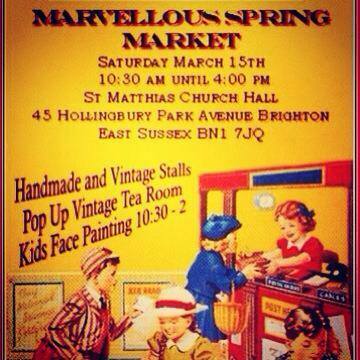 I also run my own markets, the next being Jessie Jumbles Marvellous Spring market on March 15th. I am starting a surface pattern design course this month with the view to designing my own fabrics but who knows where that may lead. I recently pitched to Liberty so going to push myself to do more scary stuff like that! 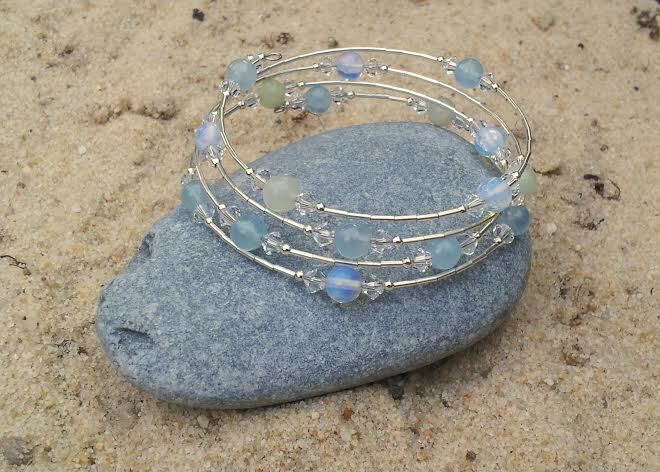 Hello I’m Chloe, owner and designer at The Silver Hut, I make 925 Silver and Gemstone Jewelry which is inspired by my natural surroundings, especially our famous seafront and beaches here in Brighton. 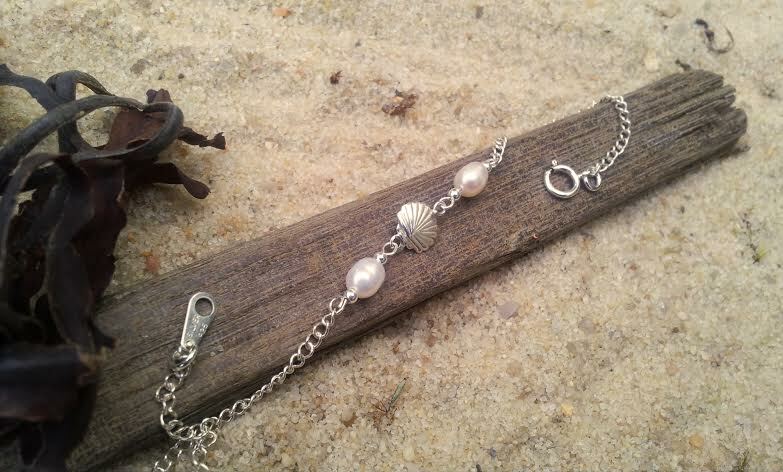 I also have a ‘custom’ wedding and occasion jewelry service which is full of very sparkly Swarovski Crystals and pearls. 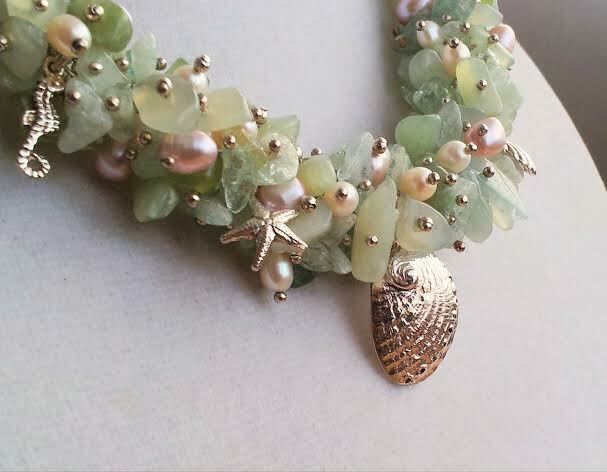 I have been making jewelry ever since I can remember but managed to turn my passion in to a small business back in 2010 by attending small craft and school fairs, I then took the plunge into online selling with my shop on Etsy.co.uk and also Facebook. My best sellers are my lovely cluster earrings which I make in all colours and sizes, I can never seem to make enough of them and also any item from my Sea Life Collection; I find that my customers love to be able to take a bit of Brighton with them where ever they go! I love it when you sell a piece that you have put a lot of hard work in to and have really enjoyed making to a customer and they love it just as much as you do, it is one of the most satisfying feelings ever. 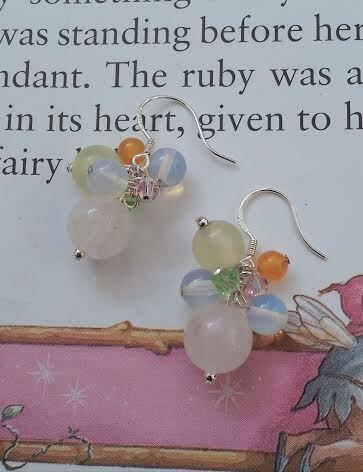 This Easter my £1 lucky dips will be back with a re-stock for my younger customers with some little wearable Easter treats in, as well as some new pieces in my Fairy Tale Collection with some summery colours, silver flowers and insects. Yes I do! You can find me at all sorts of fairs and craft markets in Brighton. I put all my up coming events up on my Facebook page and my website. I would like to find some fairs or markets slightly further afield of Brighton and also to have a big re-stock for my stall with some new collections and some larger more intricate pieces. I would also like to build more awareness in my wedding collection and see if I can get to more wedding fairs, as well as I would love to get some wedding boutiques to stock my designs. I always enjoy my day with The Fairy Tale Fair! It is the most vibrant, exciting fair that I attend. It is always stuffed full of very talented designers and makers, the workshops are great and both kids and adults can enjoy them, the tea room has the most amazing cakes and savoury snacks I have ever seen and there is always a good buzz about the room! Can’t wait to be back! 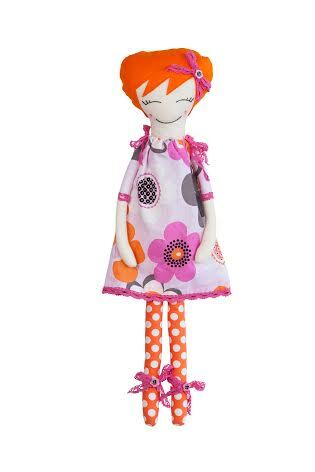 Darcy & Flo designs and makes quirky, bright, affectionate and collectable textile dolls with a pretty hand embroidered face that makes you smile as you walk by. For Spring 2014 we are launching a range of lovely quilts, cushions and other pretty things to compliment our jolly dolly range. 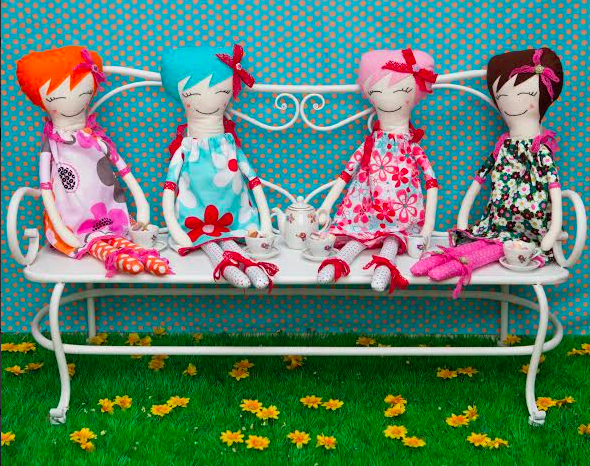 Dollies, dollies and more dollies! 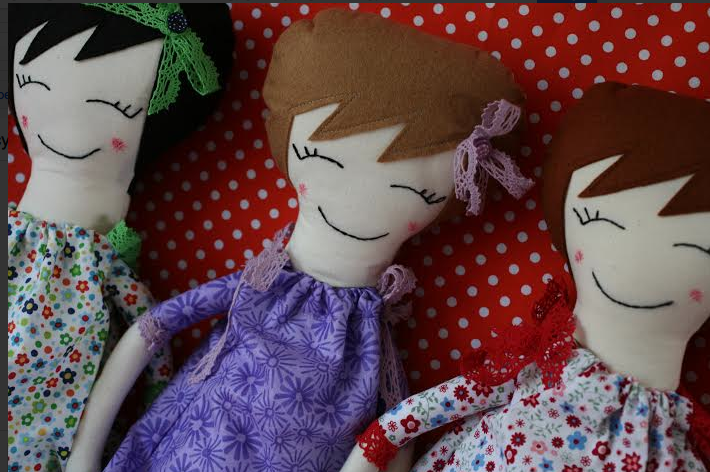 There must be lots of little (and not so little) girls beds with a Darcy & Flo doll on them. I enjoy creating something beautiful that will be loved and enjoyed by others. What is so great about having a stall at fairs and markets is that you get to see the response to your work. 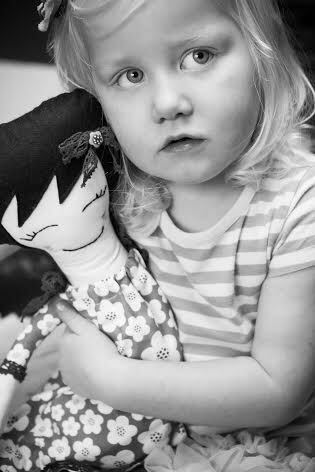 My dolls always make people smile, whether they stop and chat or just browse on their way by. I have some pretty spring like fabrics that I am going to use to make some new dolls, especially for the Fairy tale fair. And I am launching my new range of quilts, cushions and other pretty things. 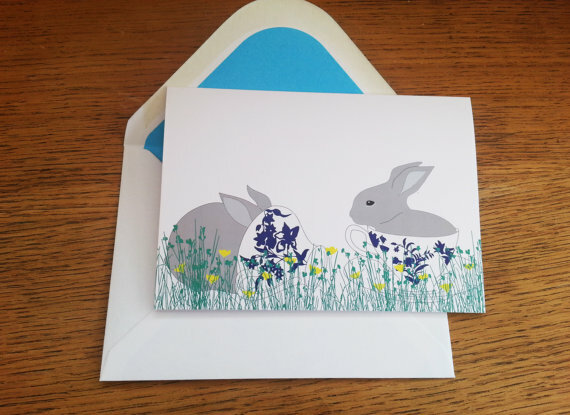 I have been a regular at Makers Boutique in Brighton, Jessie Jumbles Marvellous Fairs and Handmade with Love @ Tunbridge Wells and this springtime at Horsham. It is great how much effort goes into event planning now to make it a really enjoyable experience for everyone involved. For Darcy & Flo to be a huge success on the scale of Cath Kidston. You’ve got to have a dream…! 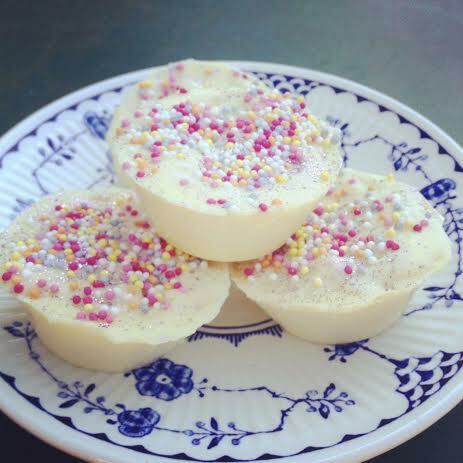 Cute, Quirky, glittery chocolates and other confectioneries, perfect for giving as gifts or just as a little treat to you. There is now a wide selection of vegan goodies on offer due to vegan demand! How long have you been making your chocolates? The best seller has to be the vegan peanut butter cups however I reckon there will be a new favourite at the Easter stall as I bring out a wider selection of vegan friendly chocolates and treats! They’re so pretty and glittery but the best part is the fact that they’re edible!! Indeed I do! It’s a surprise 😉 but I promise there will be more vegan and gluten free treats on offer! 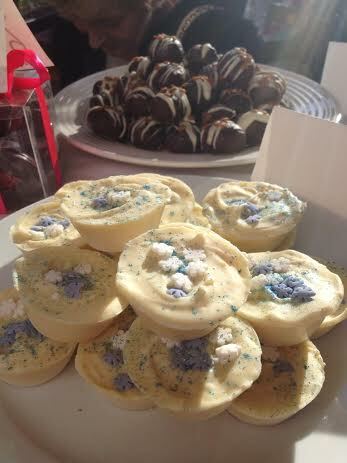 Not at the moment although I would love to start selling my treats at other quirky events so if anyone has any suggestions please don’t hesitate to contact me or approach me at my stall…I won’t bite! 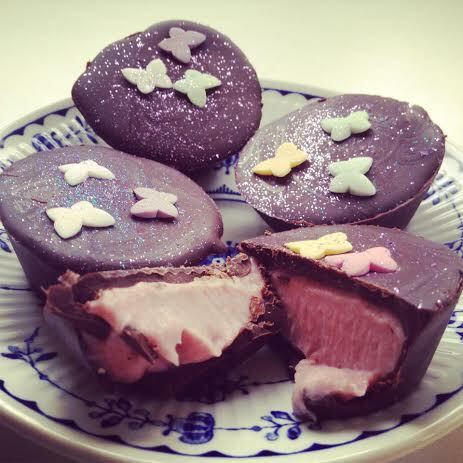 My goal is to open up my own quirky, vegan chocolate shop/ tea room as I also make baked goods and enjoy catering to people with dietary requirements such as vegan and gluten free (check out my face book page for details). Yes I have taken part twice now and loved every minute of both times. Can’t wait to take part again! 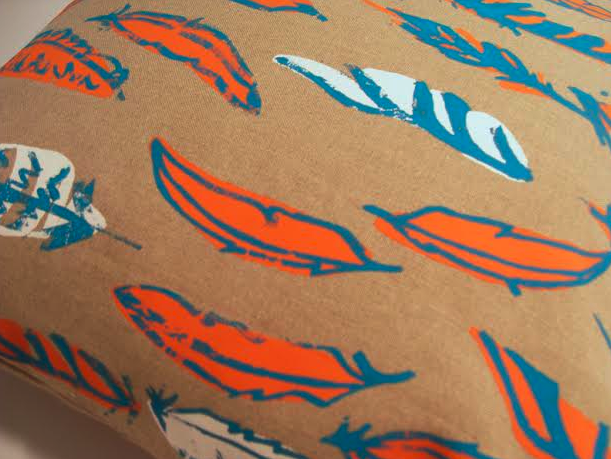 I am a British designer maker specialising in textile home wares, wallpapers and gifts. Originally from Somerset I graduated from the Arts University College at Bournemouth in 2011 with a BA (Hons) in Textile Design and now work from my studio in Hampshire. 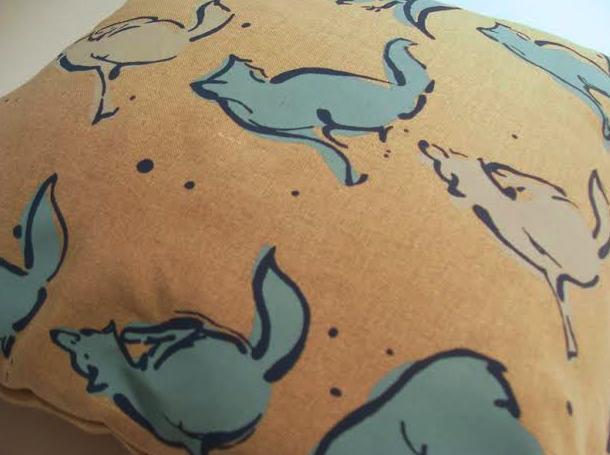 I draw inspiration from my surroundings and have a passion for nature and wildlife which is reflected in both my textile designs and illustrative work. My current range of products include greeting cards, gift wrap, prints, cushions, lampshades, fabrics and wallpapers and are available to buy from my online store. I also offers a bespoke colour match service for all my products, am available to work freelance and commissions are always welcome! 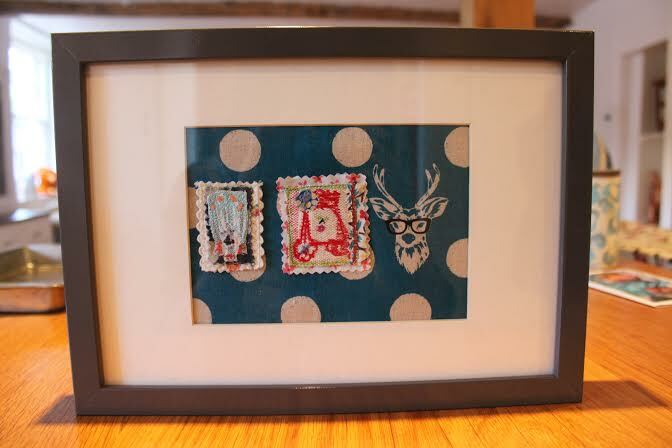 Jen Moules Textile Design has been in business almost three years, since I graduated in July 2011. Every exhibition or market I take part in there seems to be a different favorite each time but I can say the brighter, bolder colour combinations are always a a hit! I have a real passion for screen printing. I love that no two prints are ever a like ensuring each product is unique and believe the screen print quality lends itself well to my quirky patterns and illustrations. 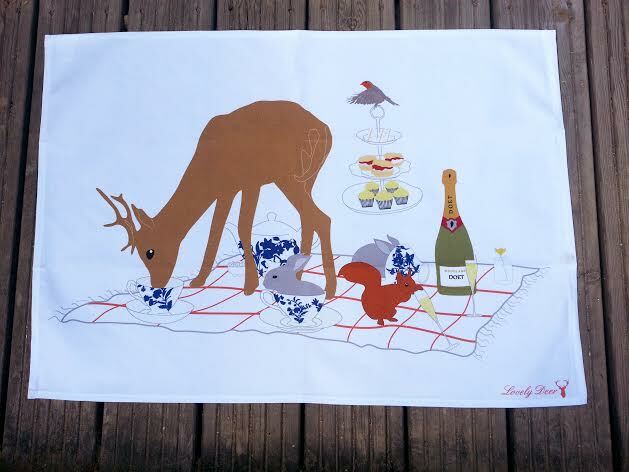 I will be selling a my new range of tea towels for the first time and a collection of gift wrap, perfect if you want to pick up a little gift for someone special. I have taken part in 16 events to date, ranging from small craft markets to large trade shows. I will be taking part in this year’s Brighton and Hove Artists Open House as well as returning to the Festival of Living Crafts at Hatfield House for the second year running. Both events are in May of this year so it’s going to be a very busy month! I hope to expand my range of products but still ensuring all my work is produced in the UK, secure more stockist for my product line and find a regular local selling event. Chocolate bunnies and a nap! It’s that time of year again and The Fairy Tale Fair applications have been released today! Our Spring fair is Saturday April 12th 2014, same time, same place! 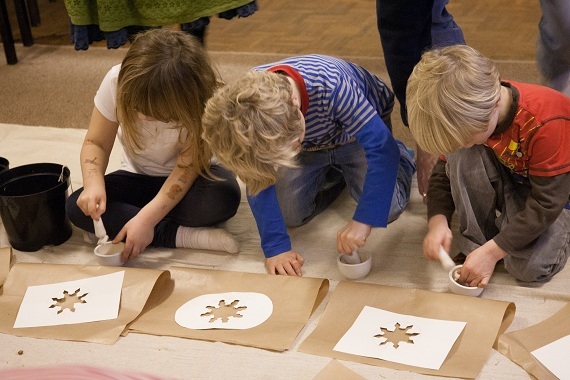 It’s the weekend before Easter and we are looking forward to some craft-y Spring time fun, gifts and treats! If you are a designer/ maker/ vintage seller and would like to apply then applications are open until Sunday Februray 9th 2014. Full details of the day, dates and prices are on the application form and PDF. Find out more, and about all the marketing we will be doing to create a buzz about the fair! We are also celebrating over 50,000 views on this blog- THANK YOU to everyone who has taken an interest! We are doing well on Twitter (3,700 followers), and Facebook (nearly 5,000 fans) too! Can’t wait to see lots of you again in Spring- it’s going to be MAGICAL! The concert hall at the Sydney Opera House holds 2,700 people. This blog was viewed about 32,000 times in 2013. If it were a concert at Sydney Opera House, it would take about 12 sold-out performances for that many people to see it.